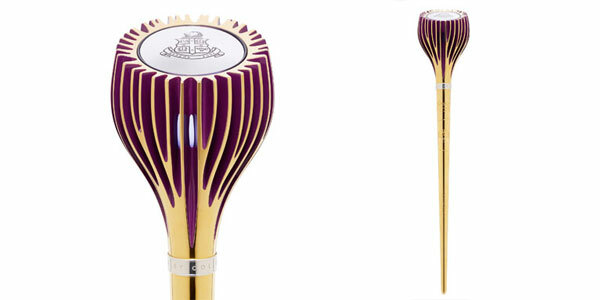 The Wesley College Mace has been created as a symbolic statement to mark the sesquicentenary of Wesley College in 2016. This milestone in the history of the College is being celebrated and commemorated in many ways. The Wesley College Mace is intended to be one of the lasting and more tangible legacies of 2016 as it will be symbolically and literally passed onto future generations of the Wesley College community. 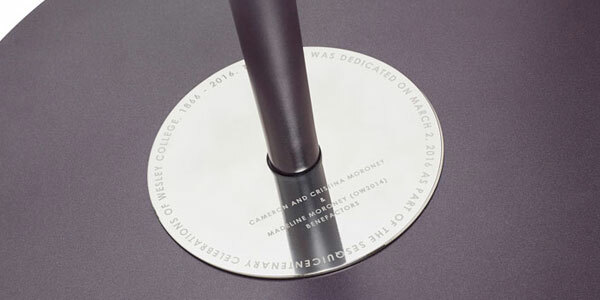 It was agreed that the Wesley College Mace would need to reflect the symbols and traditions of the school, as well as reinforce Wesley’s well-known reputation as an innovator. The final design for the mace is a clear and symbolic statement and, through its bold, bright and modern look clearly signals to all that Wesley College is forward looking and has since the opening in 1866 honoured the school motto everyday – Sapere Aude – “Dare to be Wise”. 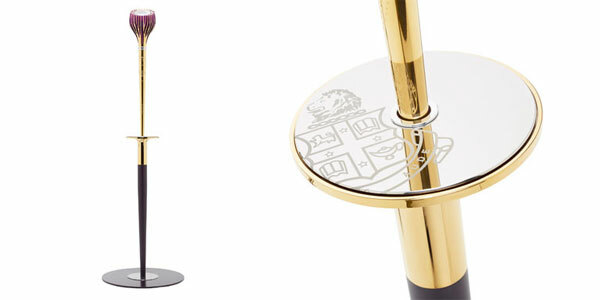 The Wesley College Mace is a bold, highly-finished and striking piece of contemporary design that pays homage to the traditional form of a mace, and yet presents as a piece of modern art. The mace is a metal club-like staff of one metre in length that elegantly tapers outwards from the tip of its base to eventually branch out in a tree-like form that cradles a glowing light source. The striking design reminds us of the story of the tree of life or read another way the guiding light through the journey of life. 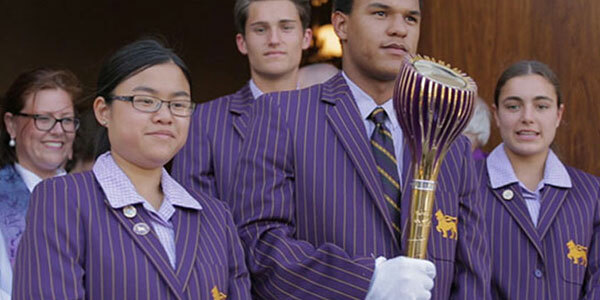 The Wesley College colours of purple and gold are unmissable. The staff has a gleaming gold patina that is broken only by incised decorative elements. Purple is represented in the bulb device that is both cradled in, and seemingly bursting out of the branches of the tree. 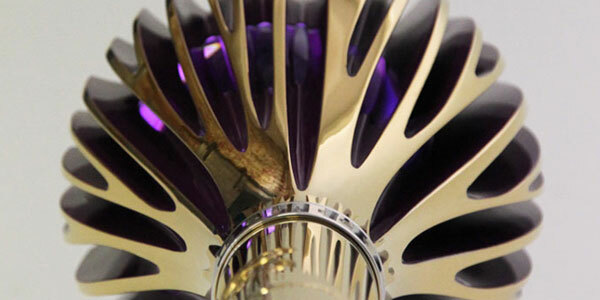 This purple-coloured acrylic light source glows suggesting energy and life.